The Strawberry Fields Forever cocktail is mostly strawberry schnapps with a touch of brandy and then some soda water to add carbonation. The result tastes a lot of a strawberry soda. 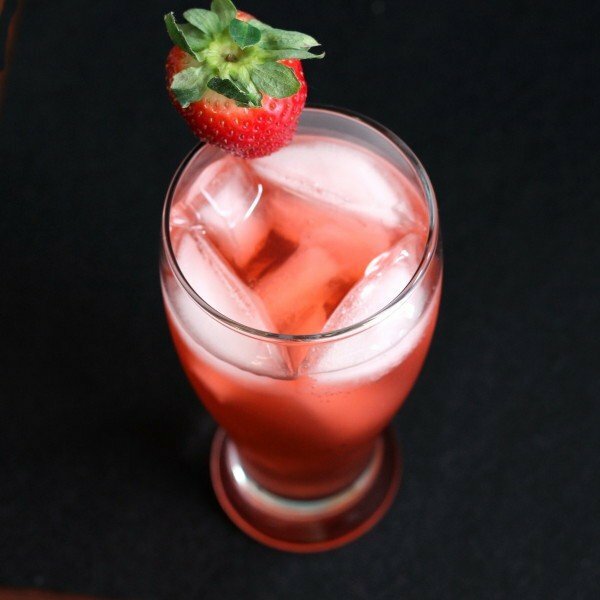 This drink is perfect when you’re in the mood for overwhelming strawberry flavor. It’s actually amazing served alongside plain cheesecake, and you have to take a bite and then take a drink and enjoy the flavors all swirling around in your mouth together. Put some ice in a highball glass. Pour in the brandy and schnapps. Fill it the rest of the way with the soda water. Srit and garnish with a strawberry.